On February 1, 1709, Alexander Selkirk, the probable inspiration for Robinson Crusoe, was rescued after four years alone on a South Pacific island. 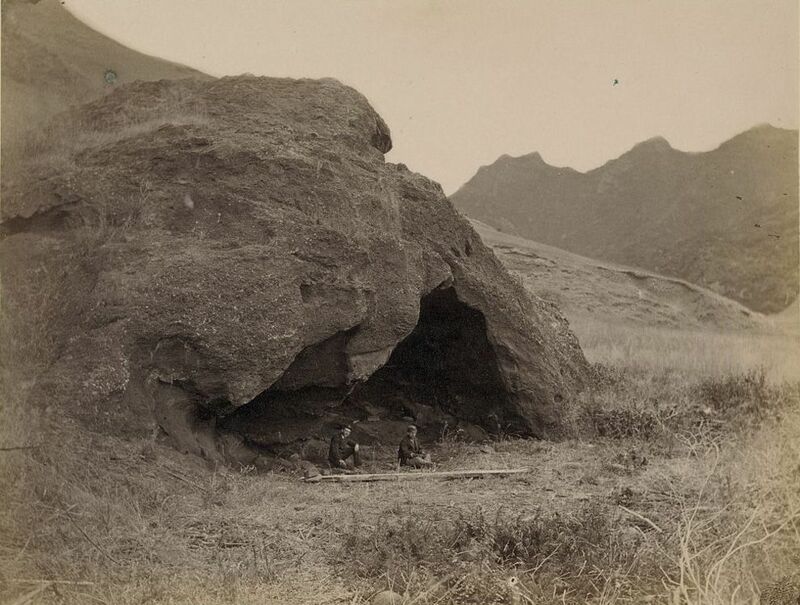 Alexander Selkirk used this cave as a shelter for most of the four years he was stranded on Isla Mas a Tierra—now called Robinson Crusoe Island. Mas a Tierra, the island on which Selkirk lived, is one of the remote Juan Fernandez Islands, now a part of Chile. (Today, Mas a Tierra is called Robinson Crusoe Island.) Previous sailors had visited the island, and accidentally introduced species such as cats and goats. These feral animals helped Selkirk survive—the goats provided meat and skins for clothing, while the cats were easily domesticated to fend off the island’s aggressive rats. Selkirk crafted a knife from the rings of a barrel left on shore, sewed clothing using a rusty nail for a needle, and sang psalms to keep his language and grammar intact. Selkirk, a Scotsman, was ultimately rescued by a passing British vessel. The ship’s captain was shocked at Selkirk’s physical stamina and mental acuity. In fact, he quickly made Selkirk the captain of one of his ships. Selkirk lived the rest of his life as a privateer and sailor. clarity or sharpness of thought. wild or untamed, but descended from domesticated animals. sacred song or musical poem. strength and power to endure difficulty. root vegetable related to a radish. 1861: Texas Secedes from U.S.